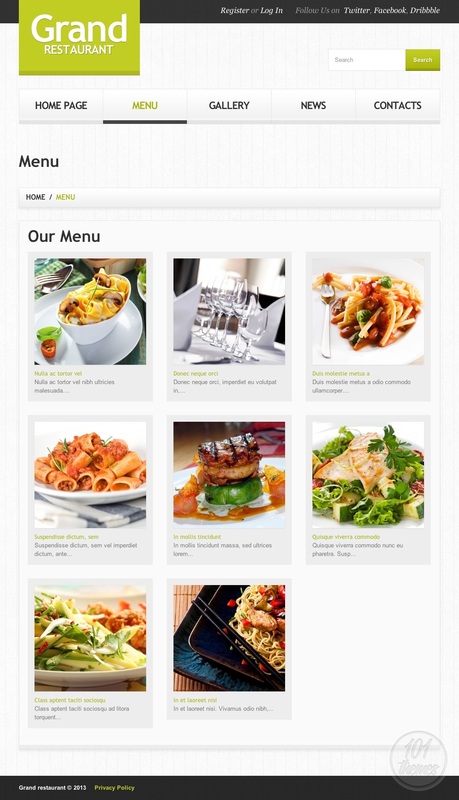 If you are looking for a great responsive WordPress restaurant theme, Mercury presents one that is worth checking out. 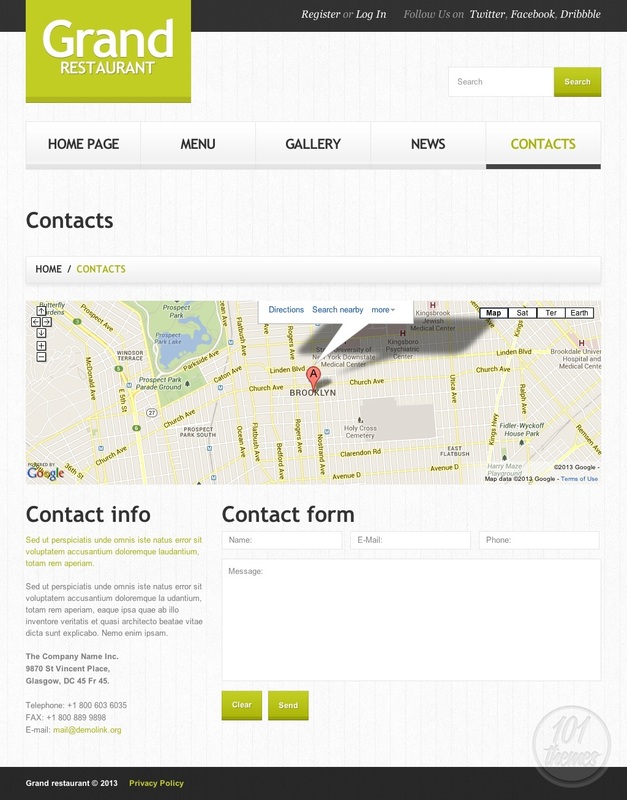 It is called Grand Restaurant 2 and it is featured on Template Monster. No matter what restaurant niche you are running, this theme will fit your needs perfectly. Its compact design with bright colors and light overall look is perfect for presenting your delicious meals. The very top of the theme is enhanced by a big, wide slider, making the perfect spot for placing the best, quality photos of your delicious dishes and attracts your visitors’ attention right away. The light colors prevailing in this theme will place your content in the spotlight and make your guests hungry for your delicacies. You will be able to feature a lot of content on your homepage. Right under the slider you will see boxes where you can present your most important posts, such as your blog, the history of your restaurant or to present any upcoming events you might be organizing. A nice welcoming note can be added as well, and you can present all of your services properly so your visitors know exactly what to expect at your restaurant. The latest news can be shown on your homepage as well and listed by date, and you can also add a nice, detailed “about us” post to introduce your visitors to your restaurant properly. The footer of the homepage is reserved for featuring various posts and presenting them in compact lists. This theme features a beautiful, light menu where you can add photos and detailed descriptions about each dish, and there is also a nice gallery featured for you to post many photos of your delicacies. Advanced theme options and a powerful admin panel make customization very easy. This restaurant theme for WordPress features Google Maps integration so everyone can easily find your place, and there is a nice, simple contact form included for easy interaction with your visitors. Being responsive, it guarantees your website is going to look beautiful on all devices regardless of the screen size or resolution.